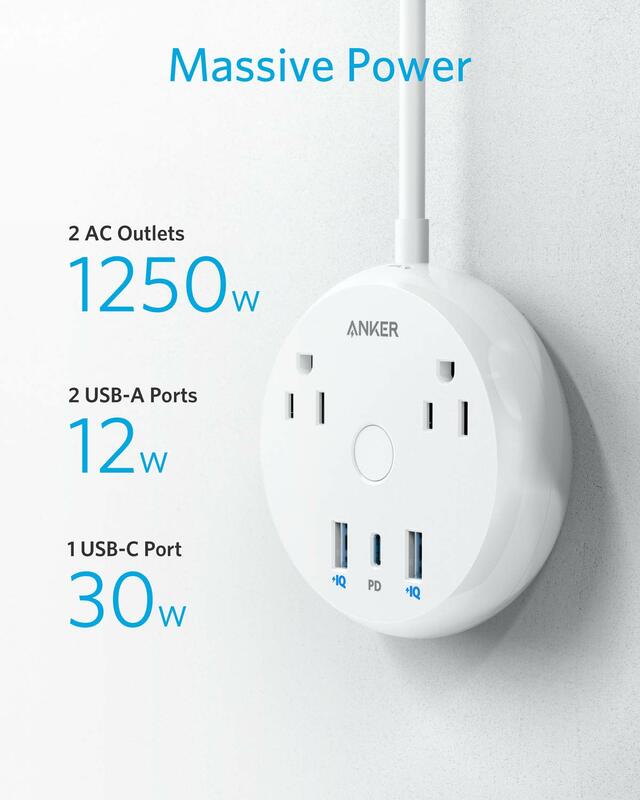 High-Speed Charging: Deliver an optimized 30W charge to USB phones, laptops, and tablets with USB-C Power Delivery, and Anker's world-renowned PowerIQ technology delivers 12W for USB-A. 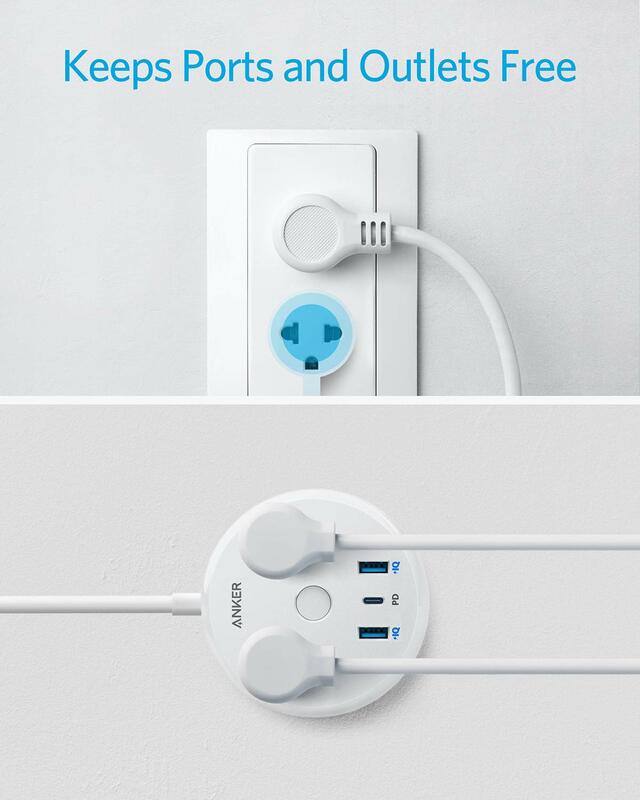 Space-Saver: Designed to take up as little desk room as possible, with a compact plug that keeps your other wall outlets free. Flexible Placement: Place on the side of your desk, the wall, or anywhere else you can think of with the included adhesive stickers. 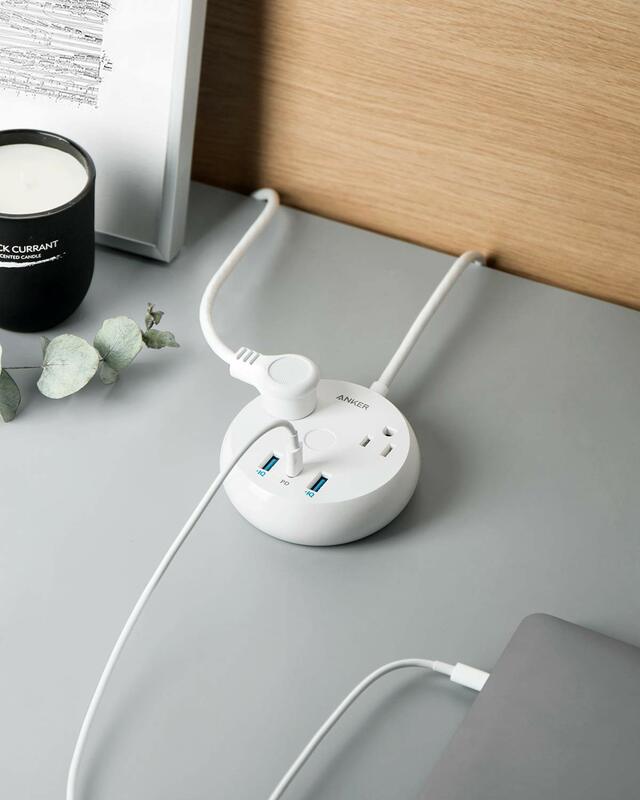 What You Get: PowerStrip Pad, 2 × adhesive stickers, welcome guide, our worry-free 18-month warranty, and friendly customer service. 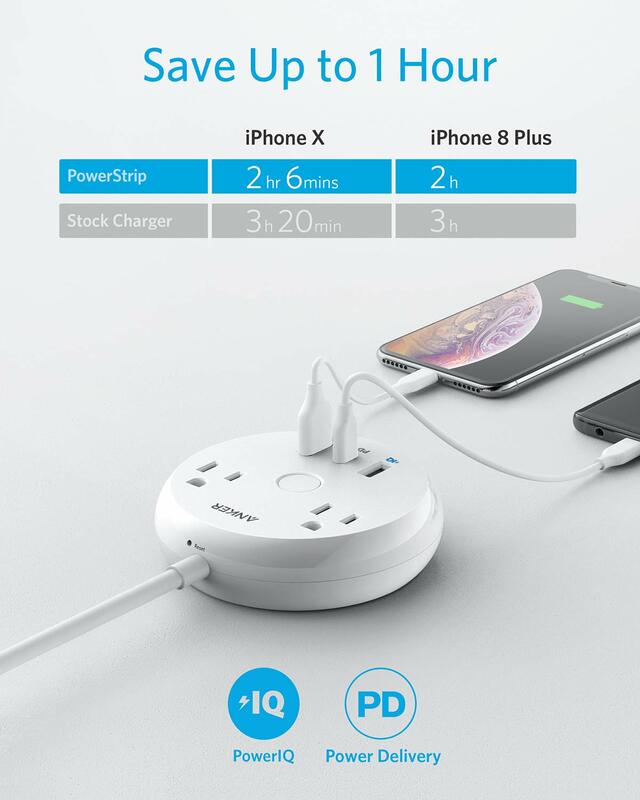 Charge and power everything from appliances to your smartphone with 2 AC outlets, 2 USB-A ports, and 1 USB-C port. 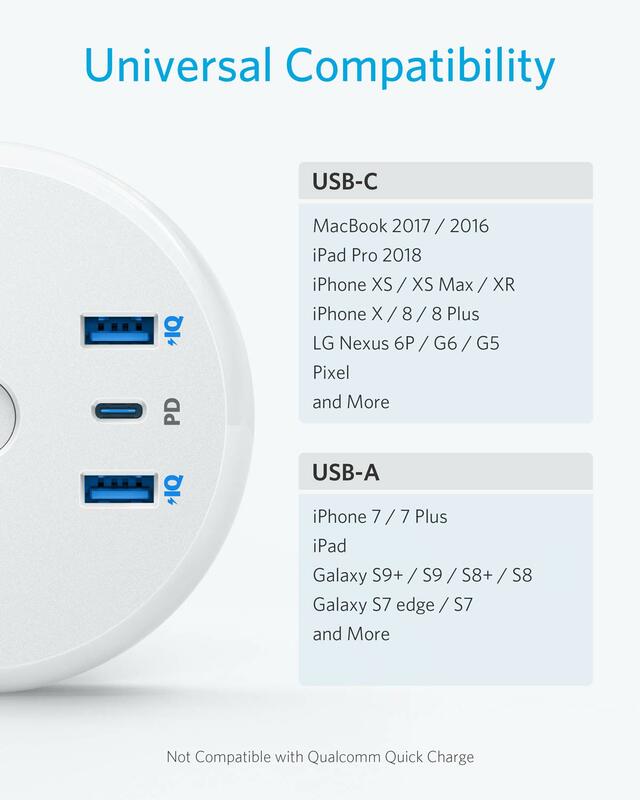 Ready for all-round speed with USB-C Power Delivery, as well as Anker's PowerIQ fast charging technology for USB-A. Fire-retardant casing, overload protection, and other advanced safety features keep you and your devices protected. 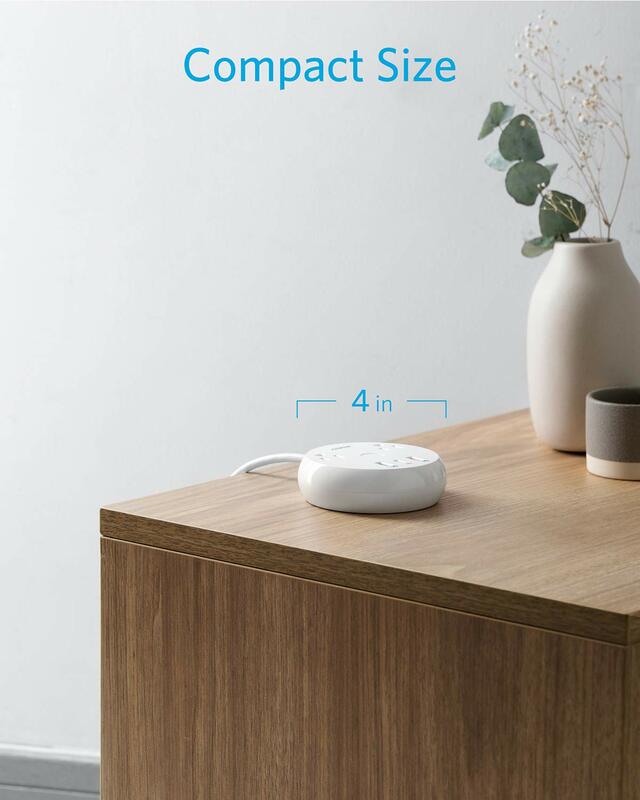 The unique design takes up less valuable workspace, and fits easily into any electronics bag or briefcase. 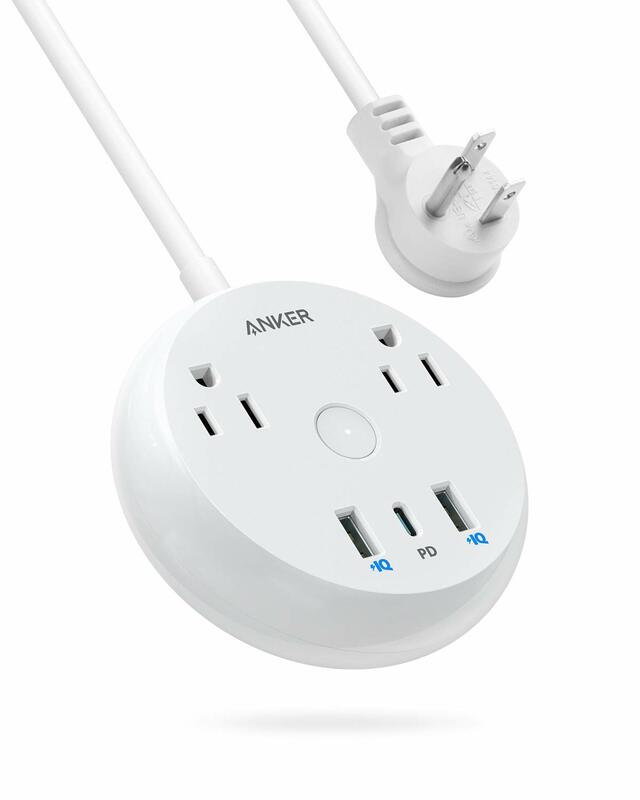 The compact wall plug keeps PowerStrip Pad full of power—without cutting off your other devices. Samsung Galaxy S9 / S9+ / S8 / S8+ / S7 / LG / HTC / Nexus, Pixel 3 / 2 / XL, and more. Attach the adhesive strip to a flat surface such as a desk. Clean the surface with a dry cloth before application.